The concept of the line in the drawing. Exploration of languages and various hatching techniques. Learn how to manage the steps of making a work in black-and-white or colour technique. Free choice between figurative or abstract composition. During the realization of your work in mixed techniques, we will explore the process of creation in black and white or colour techniques. 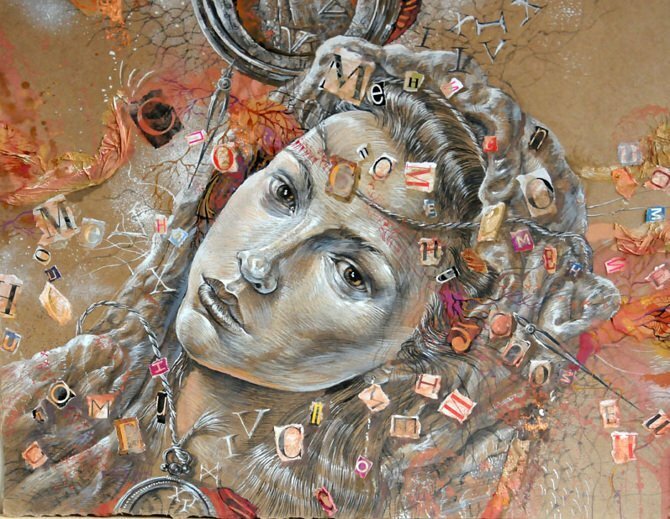 Daniela will explain the specific technical requirements for working with mixed media and the choices of the medium (pencils in lead pencil, India ink, gouache, coloured pencils, watercolour...) and the choice of paper. You will have the opportunity to create a black and white or colour piece in a 16 "/ 20" format.